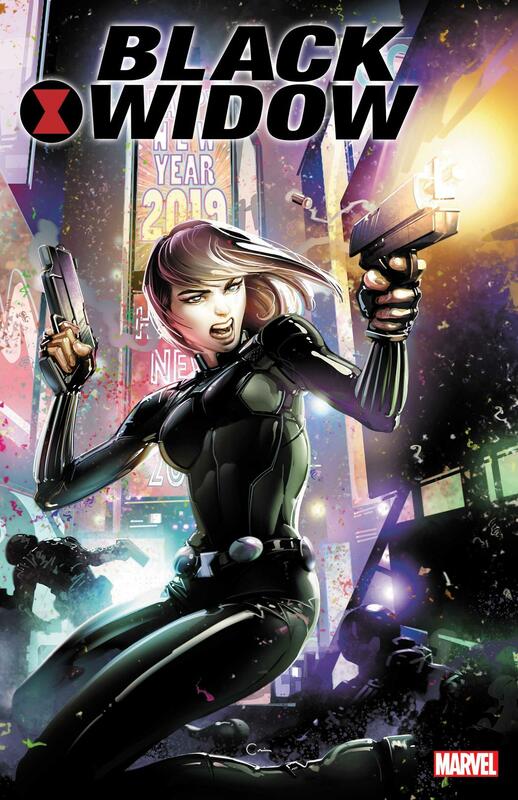 From Marvel Comics, BLACK WIDOW #1 will feature art by Flaviano and a cover by Clayton Crain! Marvel will be bringing a killer character back from the dead! Today Marvel announced that Black Widow will return in her own solo series written by Jen and Sylvia Soska. The Soska sisters -- also known as the Twisted Twins of Horror -- will join forces with rising artist Flaviano on BLACK WIDOW #1 to resurrect the fallen hero. Bustle spoke to Jen and Sylvia Soska about the new comic book and Jen Soska reveals what fans can expect, "Our Natasha will be true to the Natasha we all love...But she is not in a good mood. You won't see her feeling bad for putting more red on her ledger. She enjoys what she does. She's damn good at it. She's fearless. She's lethal. She's unstoppable. She's the last person you want coming for you. Our Natasha isn't following anyone's rules so she's completely unleashed." BLACK WIDOW #1, with a cover by Clayton Crain, set to debut in Janaury, will follow Natasha Romanoff as she embarks on a journey of anger, vengeance, and the biggest, baddest enemies she's ever faced.